If you’re one of those OnePlus 3 users who have reported vexing issues on your OnePlus 3 devices then here is a good news for you. 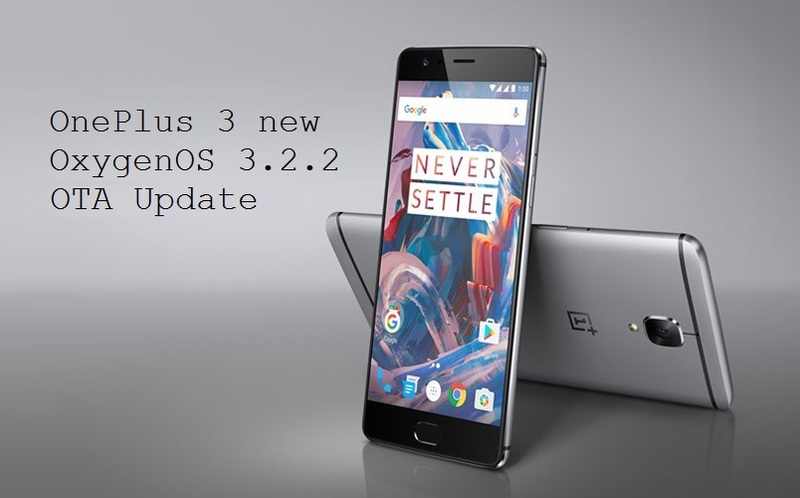 Today OnePlus is started rolling out the new OxygenOS 3.2.2 OTA update for OnePlus 3 devices. The update might not be available globally very soon but you can expect it to be available in next coming days. Below we have the full change-log posted by OnePlus forum for the OxygenOS 3.2.2 update. – Improved notification management in doze. – Addressed alert slider/silent mode issue. – Disabled fingerprint sensor while in pocket. – Added NFC toggle in quick settings. – Improved noise cancellation in video recording. – Updated 4K video recording codec. – Added latest security patches and various optimizations. It seems that OnePlus users are really happy with this new announced OTA update by the company and they shouldn’t be, when it’s listing to its customers and fixing the problem quickly. The update will start rolling out today and will be available globally in next coming days. What you think with this update, are you happy with this?? Share with us in the comments below.